Our CM Artist Kim is now officially an ‘Artist-in-Residence’ at Appleby House Care Home in Epsom, Surrey. The opening of the Art Studio at the home means that residents can drop in and explore their creativity at any time. 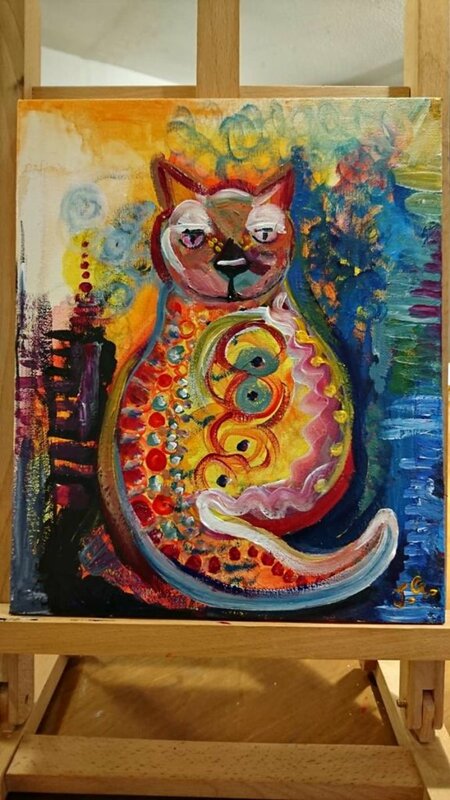 Kim offers a variety of different artistic materials including acrylics, watercolours, pastels, drawing and inks for residents to enjoy, in a fun and relaxed environment. 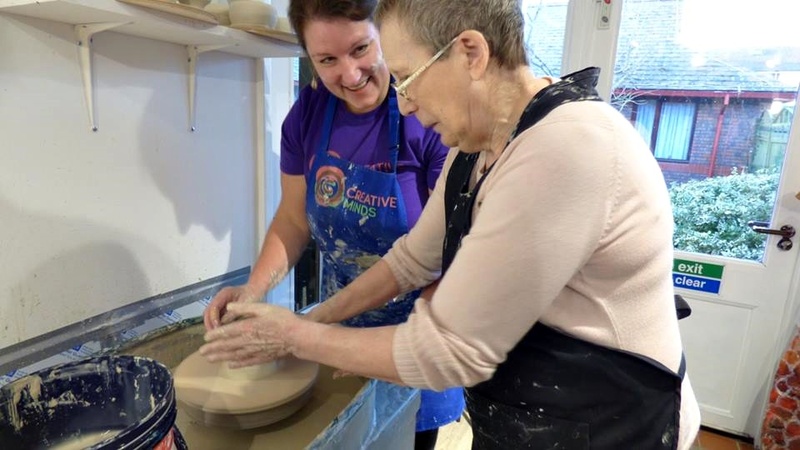 They even now have a potter’s wheel, where they have been creating some beautiful ceramics. 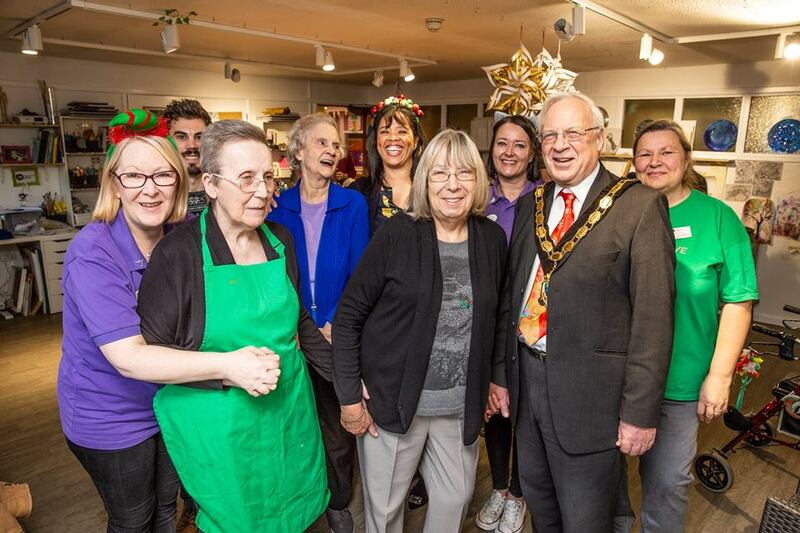 The studio has been a huge hit with both staff and residents, and was officially opened back in December by the Mayor and Mayoress of Epsom & Ewell. 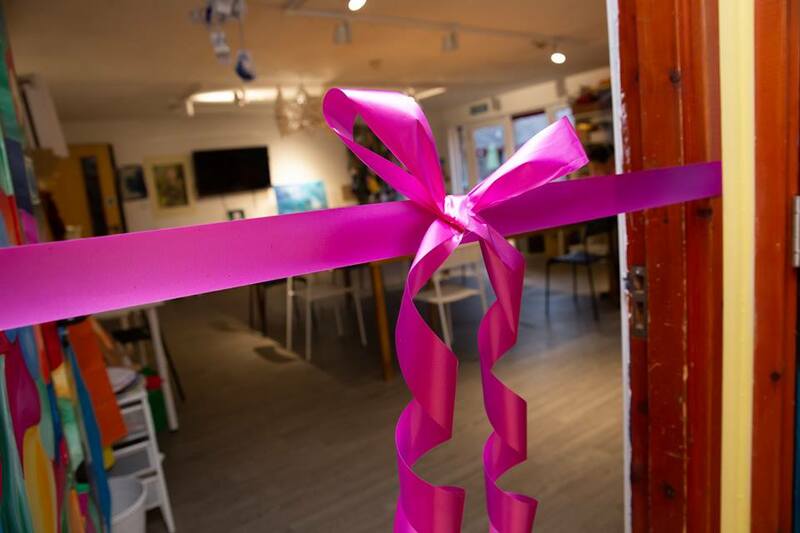 The opening of the Art Studio at Appleby House Care Home in Epsom, Surrey. Kim, CM Artist showing a resident how to use the potters wheel. 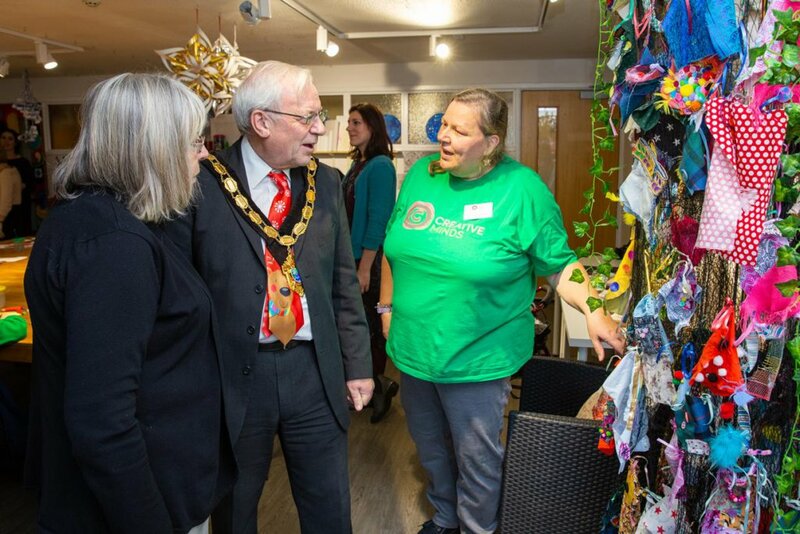 Sarah Fenner- Creative Minds Community Development Manager – showing Mayor Neil Dallen and Mayoress Ann Dallen the artwork from Appleby House Residents that had been displayed at the Tate Art Gallery in London in 2018. The work they produce in the studio goes on display in their in-house Gallery the “Appleby Tate” for all to enjoy. Kim has also secured the residents an exhibition at Bourne Hall in Epsom, which will be open to the public later this year. Residents are all working on their own unique pieces of art for this exciting show, which they are all looking forward to. 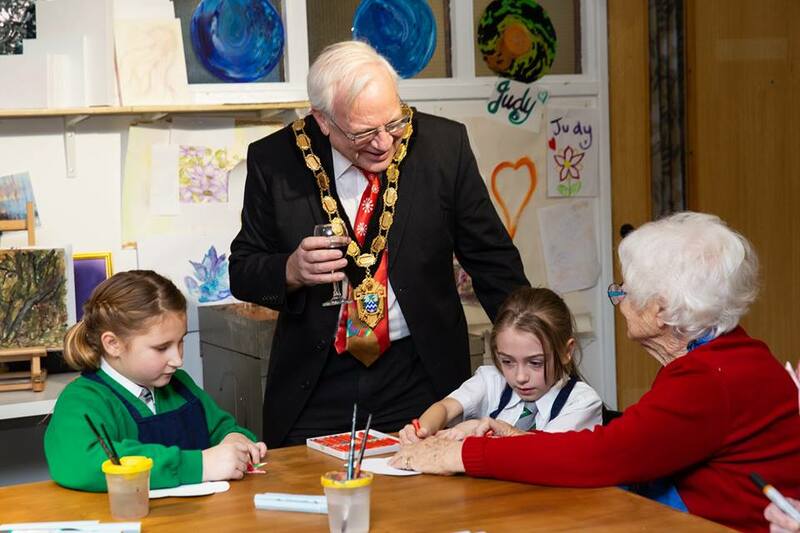 The Mayor of Epsom & Ewell with local pupils from Epsom Primary School. Sarah Fenner, from Creative Minds, helping local pupils decorate their stockings inside the new Appleby House Art Studio. 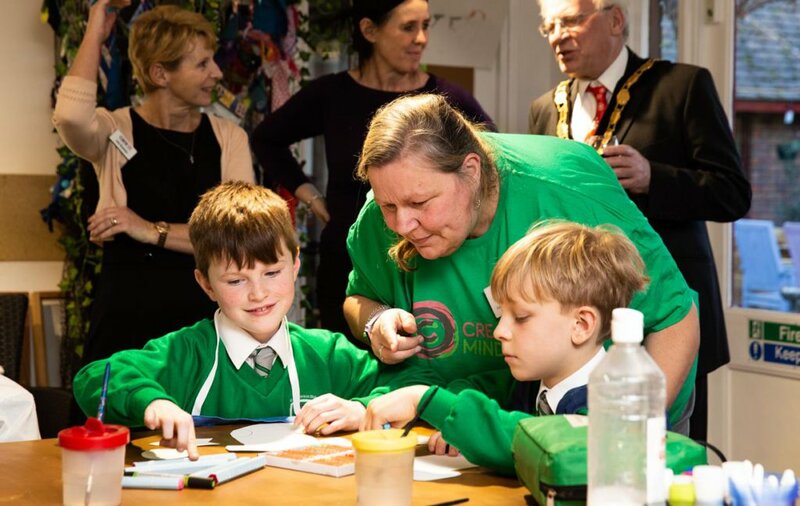 Creative Minds Artist Karen Utting with residents and staff from Kingsleigh care home, visiting the the opening of Appleby House’s Art Studio. 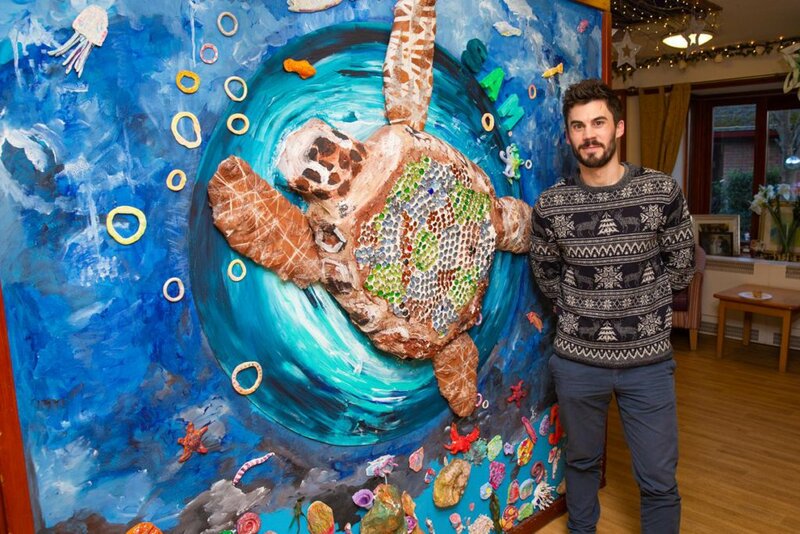 James Cropper, Director of Creative Minds – standing next to one of the many care home murals created with the Appleby House residents. Kim’s art sessions have had a remarkable impact on one particular resident, Judy. She lives with advanced dementia and for years has struggled with communication. As soon as she steps into the Art Studio, she becomes focused, and confidently talks about the colours and textures in her work. Judy is so happy to see Kim each week and looks forward to her art sessions. Before moving to Appleby House, she had never given art or craft a go! 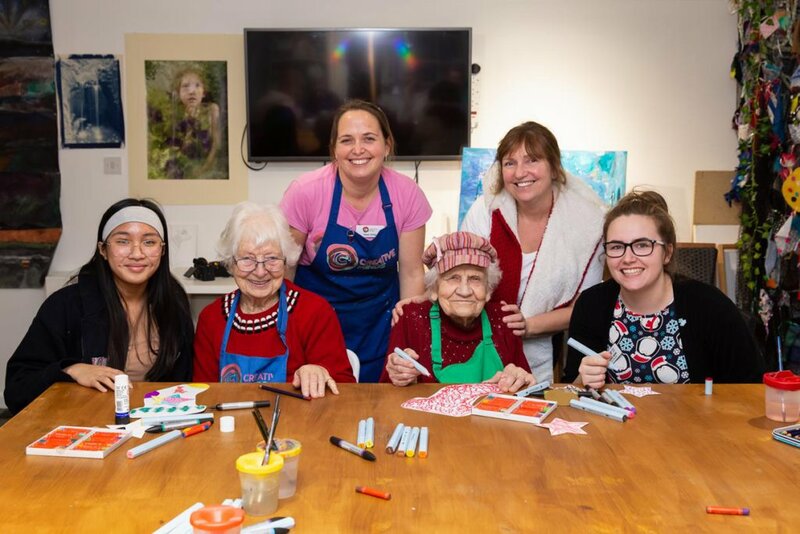 CM Artist Kim says; “Art brings her clarity…it’s like she goes into a different place when she’s painting.” Kim couldn’t be more proud to see what Judy has achieved, as well as so many other residents at Appleby House! Residents, staff, families and friends are all thrilled with the impact that the Art Studio is having on the home. Each week visitors enjoy seeing the latest work that the residents have created. Previous article: Our First Painting and Prosecco Party!